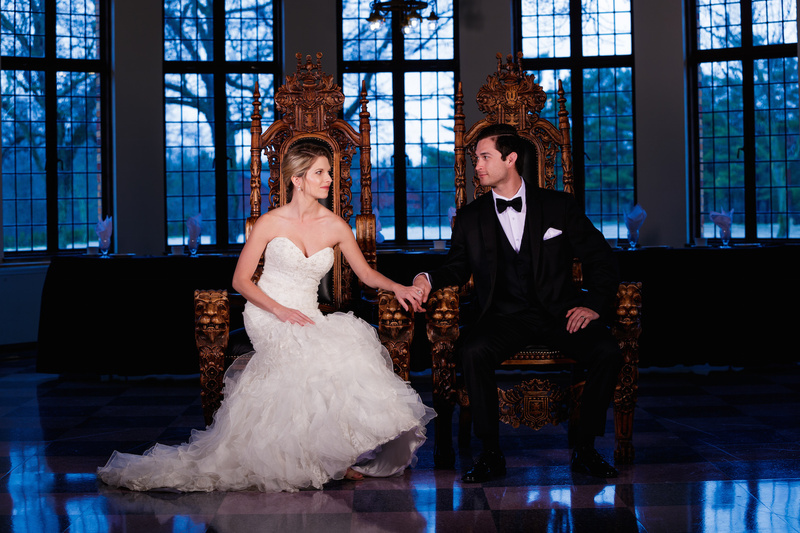 Chicago-based celebrity wedding photographer Bob Davis discusses his take on modern wedding portraits in our new wedding photography tutorial series. Traditional wedding portraits can often be bland. 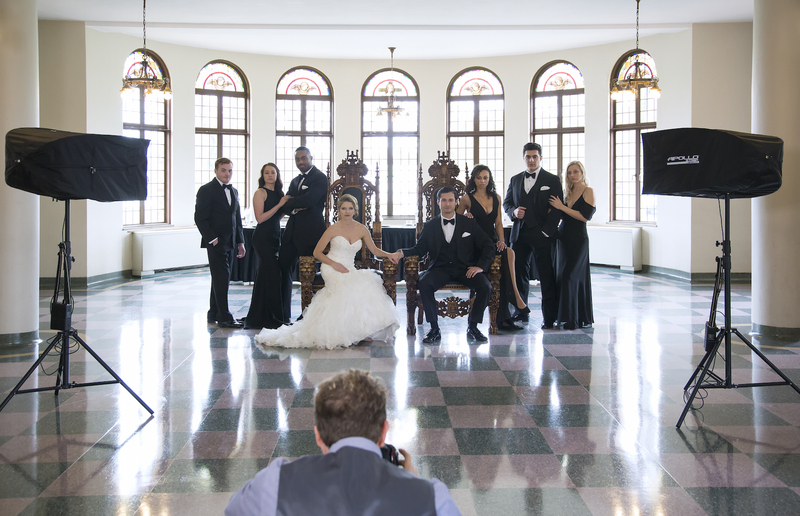 For shots of the wedding party, many photographers default to posing their subjects upright and in order of height. 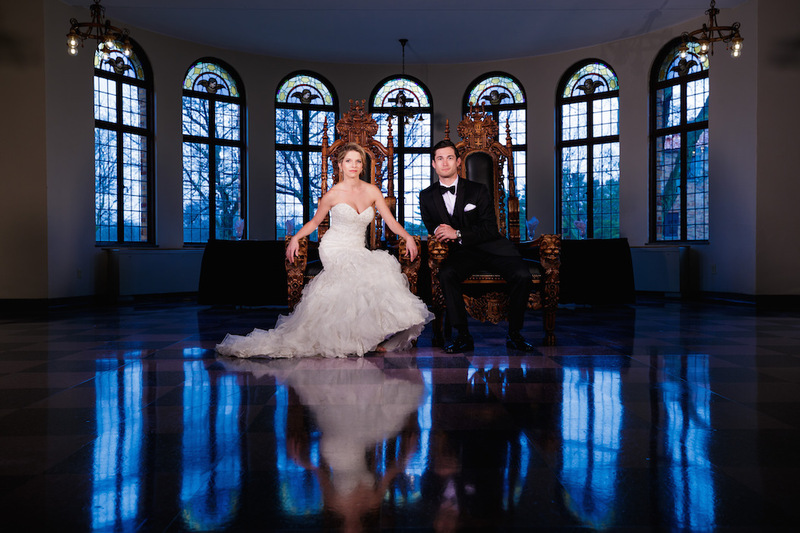 While some clients may want a traditional look, many couples these days want more modern and unique photographs. 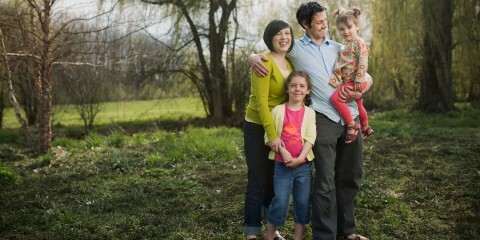 For this modern shoot at Nazareth Hall in Ohio, Bob chooses to create an editorial-style portrait. 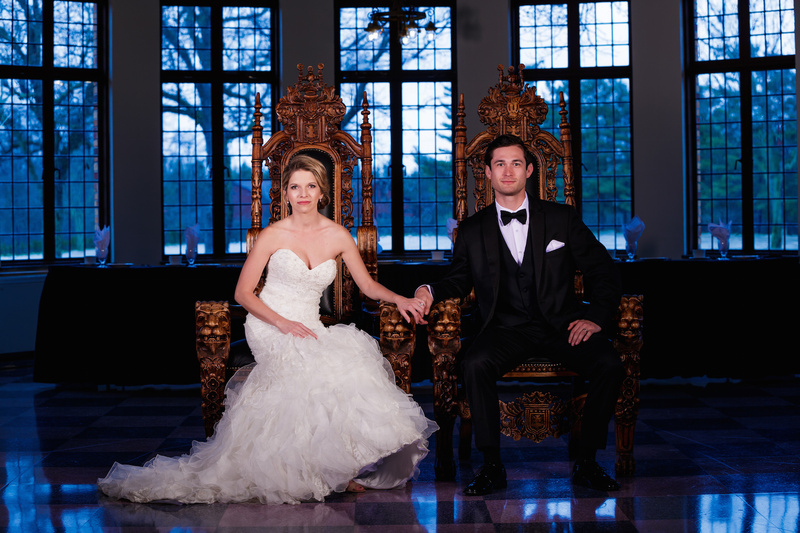 He poses his bride and groom in throne-like chairs found in the ballroom. 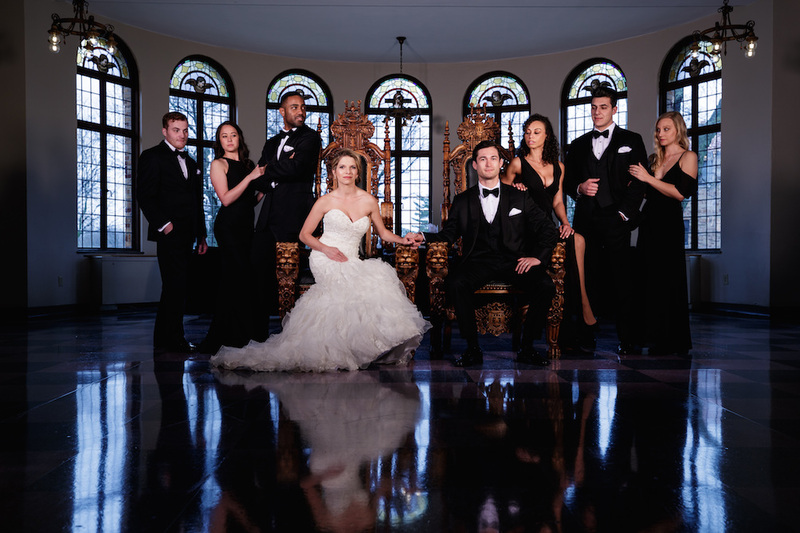 He then surrounds the couple with the remaining wedding party. 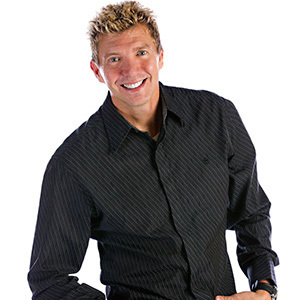 Instead of posing his subject in a traditional manner, he instructs his clients to pose in separate ways: some leaning, some standing, and facing different directions. This creates a much more visually captivating image. To illuminate his subjects, Bob uses strobes modified by two Apollo Strips (one on each side of his subjects). 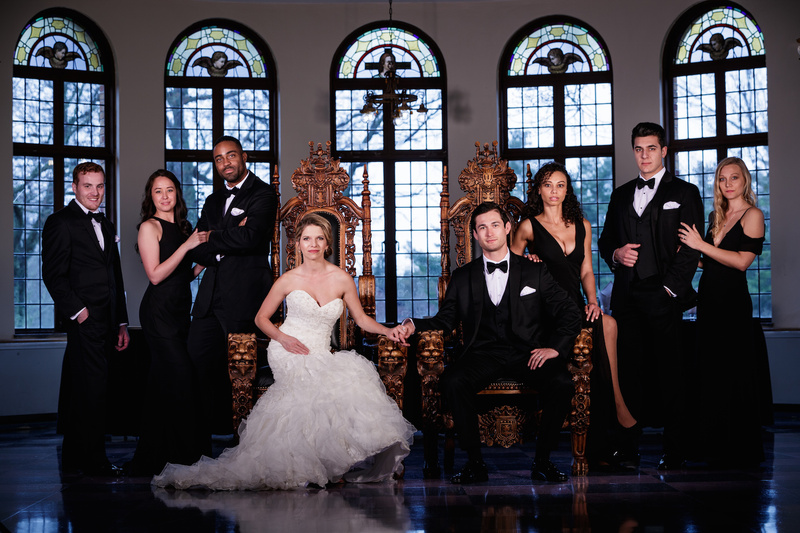 He positions these modifiers horizontally so that the light falls perfectly across the faces of the wedding party. He adds a grid to each Apollo stripbank, which further eliminates light fall and draws attention to his subjects. 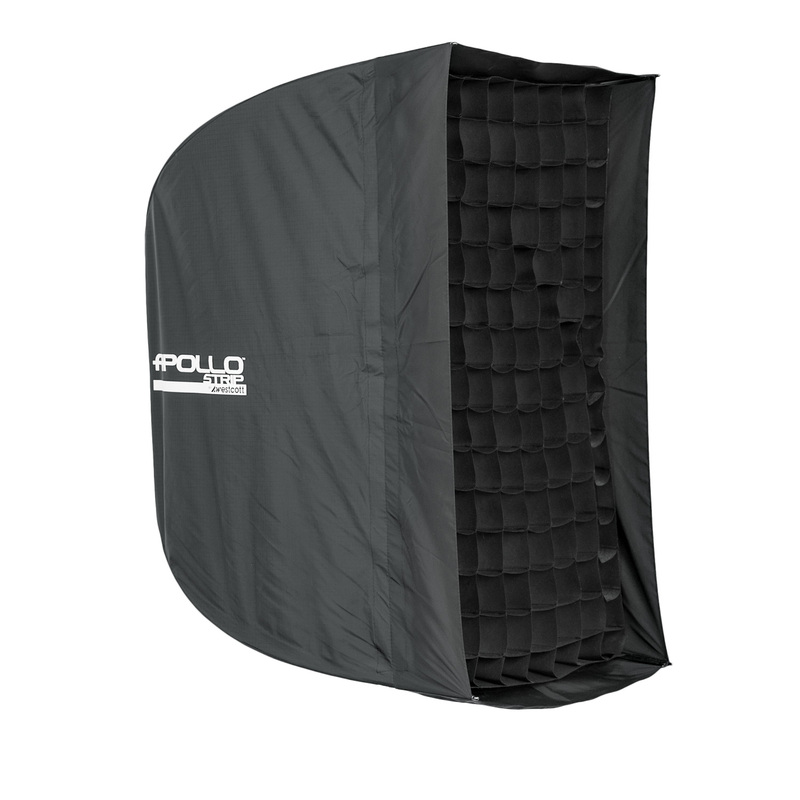 Apollo modifiers are designed with umbrella-style framework, for instant setup and compatibility with virtually any speedlite or strobe. This versatility and portability make them ideal tools for on-the-go wedding photographers. 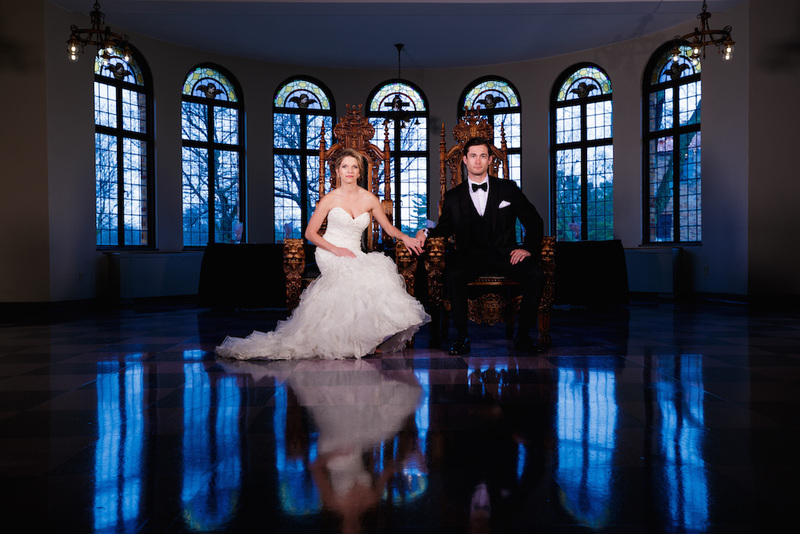 To add even more interest to the image, Bob creates a day-for-night effect by using CTO gels on his strobes. This creates a warm glow on his subjects while making the ambient sunlight cooler (much like moonlight). Bob experiments with both wide angle 16-35mm and traditional 70-200mm lenses along with a variety of positions to create different looks.